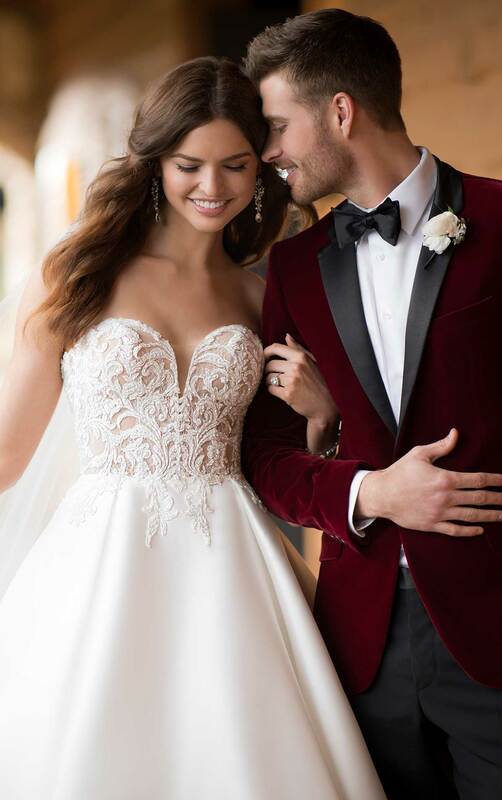 Bring your fairytale to life in this modern ballgown with sheer bodice from Essense of Australia. Pearl Mikado brings a traditional vibe to this gown, while the sheer, layered lace bodice feels completely new and fresh. 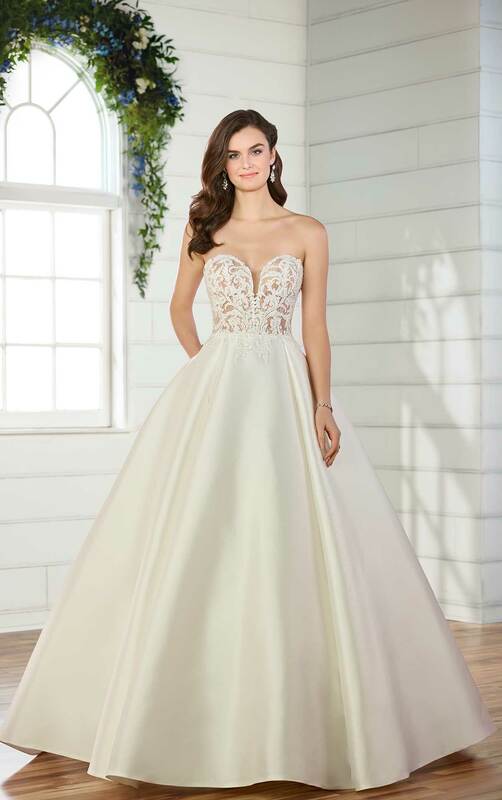 Adorned with pearls and bugle beads, the lace from the bodice extends slightly onto the full skirt, balancing out the deep sweetheart neckline perfectly. The sheer bodice continues through the back of the gown, and the style is completed with a slight train. The back of this modern ballgown zips up beneath fabric-covered buttons that run the length of the skirt.